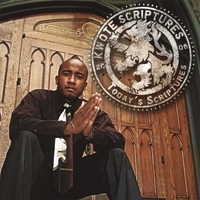 Today's Scriptures is a non-explicit project with music reminiscent of the Golden Era of Hip Hop, with styles similar to: A Tribe Called Quest, De La Soul, Common, and Blackstar (Talib Kweli and Mos Def) to say the least. In a world full of constants you need change, with that said, enter KWOTE SCRIPTURES. Bridgeport, Connecticut resident KWOTE would be described as a creative individual who proactively does whatever it takes to get noticed. He’s known for being one to exceed expectations and cross boundary limits to break molds. As you can tell by those brief sentences, you're dealing with a nuclear weapon instead of a firecracker. The acronym KWOTE derives from a graffiti background, which transferred into music adding the name SCRIPTURES. The music he creates is geared toward the hip-hop crowd with a global appeal. Styles and song structures are complex but tolerable, due to the nature of content and delivery. The main reason he creates music is due to the fact, that music is the soundtrack of life. It revolves around everything you do, whether you notice it or not. Everywhere you look, every emotion expressed, every major event has a song/sound that will remind you of it. Being the architect of change didn’t always pay off! In the year 2000, KWOTE met with U.N.I. Sounds (a collective of producers and emcees) from Brooklyn, New York. In 2001, they constructed the conscious album “Time Space Continuum” which gained great praise. The result of this project shed light to complications artists face when trying to provide nutrients for the masses. The foundation for change was now built and the battle is ever so evident. In order to make a difference you have to go against the grain, at whatever cost. KWOTE studied expressions and reactions of peers toward their favorite songs. An innovator of techniques, he learned how to compose lyrics by placing whatever he viewed in song form. Songs such as, “Fury” and “Facial Features” (U.N.I. Sounds – Time Space Continuum) showcase his genius, as he takes you on a journey of a woman’s facial structure. Other creations such as “EXTRA” display the ability of creating an anthem and slang word that is still relevant in these days and times. Every song written leads us into another area of unique forward thinking content. The “EXTRA” 12” vinyl single surfaced in the spring of 2003. It featured: Pack FM and iCON the Mic King on the energy driven anthem “EXTRA” b/w "BUILT FOR THIS" featuring Poison Pen (informing listeners, fans and more about his dedication) and the ode to women titled: "JUST BE FRIENDS". With the single in rotation, KWOTE has shared the stage with the following: Raekwon the Chef, Ghostface, Immortal Technique, KRS ONE, Jedi Mind Tricks, Ja Rule, El Da Sensei, Poison Pen, iCON the Mic King, Pack FM, and Pumpkinhead just to name a few. Fast forward to Fall 2006 where we welcomed the "Today's Scriptures" album. This non-explicit album is dedicated to versatility and creativity in music. Featuring "Never Give You Up" produced by Chum the Skrilla Guerilla, written as a guessing game with thought provoking content that will have you listening more than once. "Its Approved!" is the new anthem/slogan that picks up right where the "EXTRA" 12" vinyl single from 2003 left off. "Dedicated" produced by DJ Craig Rip, is well crafted and will prompt you to call the one you love and inform them how much they are worth. Always one to compliment the production, KWOTE was able to deliver the message clearly. The vast differences in the songs speak for themselves, while taking the listener on a guided journey. As an artist and supporter of the music business, KWOTE sought out to change the monotonous approach of others by delivering a true solo album. A true solo album is one that has no guest appearances and really gives you insight as to who the artist really is. All it takes is one listen to "Today's Scriptures" and you will understand the meaning and diversity of KWOTE SCRIPTURES! Also on the horizon are a multitude of guest appearances on other talented artists projects such as: iCON the Mic King, Poison Pen, and Ravage. Quality music takes time and the “Architect of Change” will provide that, remember the name: KWOTE SCRIPTURES!